A Taste of Britain Catch Up? 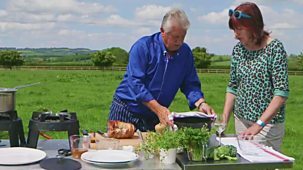 Food programme exploring specialities from around Britain. 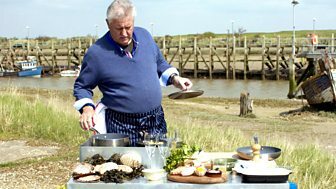 Food programme exploring specialities from around Britain. 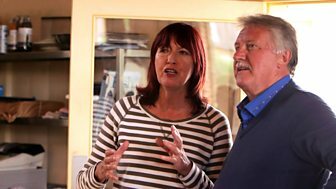 Brian Turner and Janet Street-Porter find themselves on the Jurassic Coast of West Dorset. 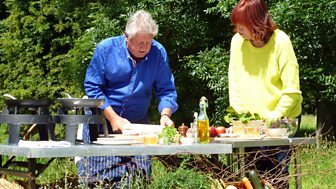 Food programme exploring specialities from around Britain. At Thaxted near Saffron Walden, guinea fowl are the order of the day for the first food producer visit. 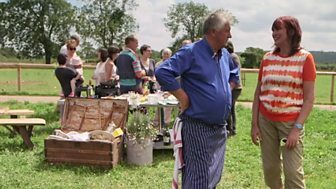 Food programme exploring specialities from around Britain. 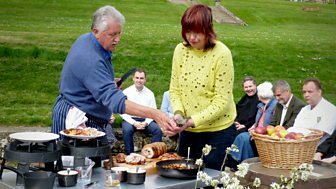 Brian and Janet visit Gloucestershire to explore culinary secrets of some of the UK's oldest woodland. Food programme exploring specialities from around Britain. 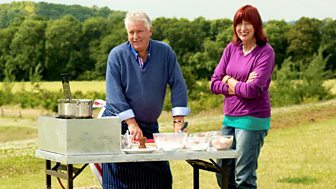 In Essex, Janet Street-Porter and Brian Turner visit the Cudmore Grove coastal path before heading to Mersea. Food programme exploring specialities from around Britain. 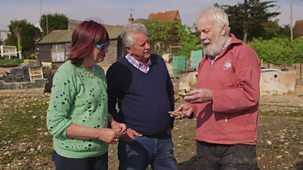 Janet Street-Porter and Brian Turner visit Dorset. Their first stop is Dorset Charcuterie. Food programme exploring specialities from around Britain. 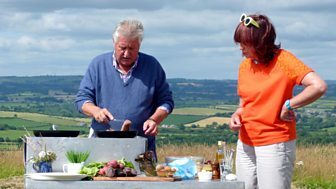 Brian cooks up a dish of mussels while Janet sets off to visit Bignor Roman Villa on the South Downs. Food programme exploring specialities from around Britain. Janet and Brian start their tour of Warwickshire by surveying the view from the Chesterton Windmill. Food programme exploring specialities from around Britain. Brian and Janet start their tour of Cheshire overlooking the countryside from Alderley Edge. Food programme exploring specialities from around Britain. Janet and Brian visit the beautiful county of Norfolk. First stop is at a farm that specialises in micro-herbs. Food programme exploring specialities from around Britain. 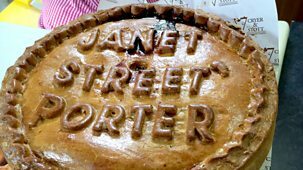 Brian and Janet visit one of Janet's favourite places in the country - Kent. Food programme exploring specialities from around Britain. 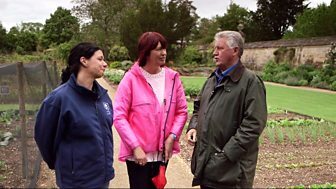 Brian and Janet start the programme in the UK's oldest botanic garden in Oxford. Food programme exploring specialities from around Britain. 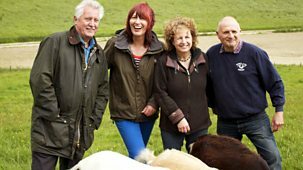 Janet and Brian come face-to-face with bison and wild boar at Wooden Top Farm in Somerset. Food programme exploring specialities from around Britain. Janet and Brian start their trip to Monmouthshire at Kymin Hill overlooking the county town of Monmouth. Food programme exploring specialities from around Britain. 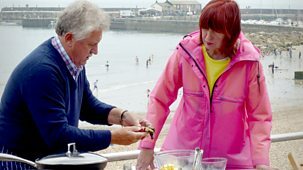 Brian Turner and Janet Street-Porter visit the seaside in Devon, starting their journey at Dartmouth. Food programme exploring specialities from around Britain. 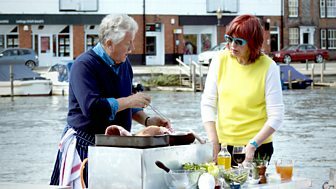 Brian Turner and Janet Street-Porter explore culinary and historical treats from the area along the Thames. Food programme exploring specialities from around Britain. 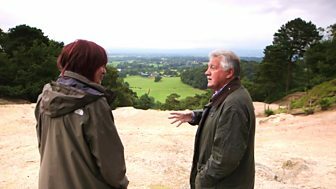 In North Yorkshire, Brian Turner and Janet Street-Porter start their journey on the Roman walls of York. Food programme exploring specialities from around Britain. Janet Street-Porter and Brian Turner start their tour of Cambridgeshire in the heart of Cambridge. 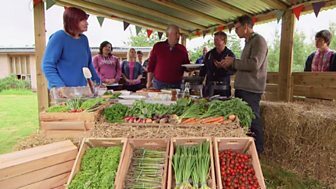 Food programme exploring specialities from around Britain. 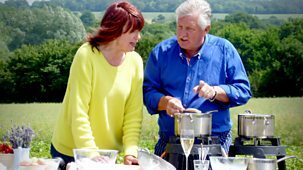 Janet Street-Porter and Brian Turner are in East Sussex. Janet tries making the local speciality bread.